The recent release of the new edition of Bloodbowl has seen me revisiting some old memories. The third edition of the game back in 1994 was one of the seminal releases for tabletop players of my generation. It saw the birth of a rule-set that has largely survived to this day. 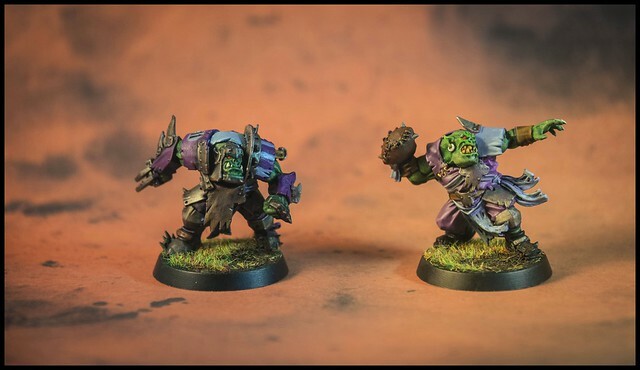 So of course I am going to paint myself some teams, starting with my old favorites, the Orcs! First up I tackled one of the lineman to try to establish the color scheme I'd like. This is where I can't resist being inspired by the colors of my beloved West Ham, so we have some vaguely claret and blue action going on. Then I get to work on the rest of the team. I go back and forth on whether to tackle a team like this model by model, or with more of a production line approach. I generally end up with a bit of both, doing things like skin on every model first, before doing the final stages one by one. I Finished up one of the Throwers last night, and was pretty happy with the results. The new sculpts are a perfect balance between dynamic poses, and feeling like they are from the same range as the original third edition models of old. 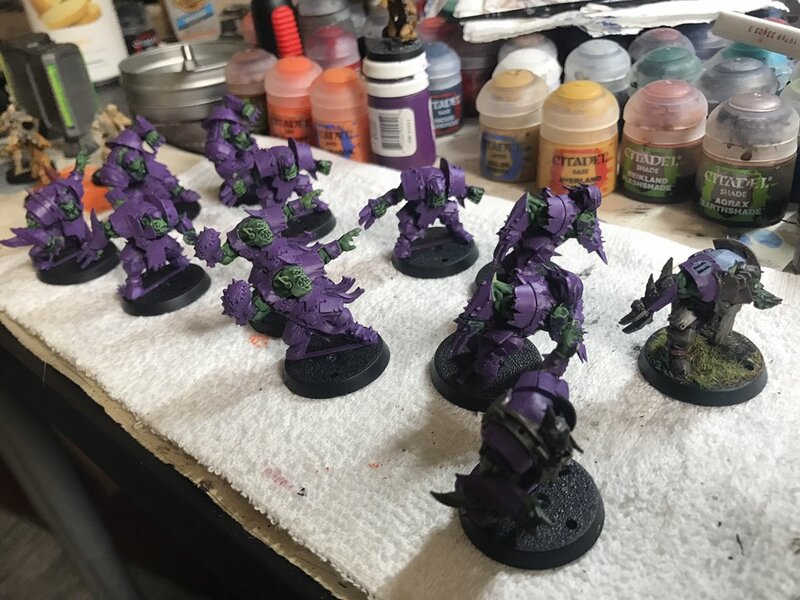 Hopefully the holiday period will give me some time to get the entire team finished up! Looking forward to getting some games in the new year, and possibly seeing if I convince folk at the office to have a tournament.